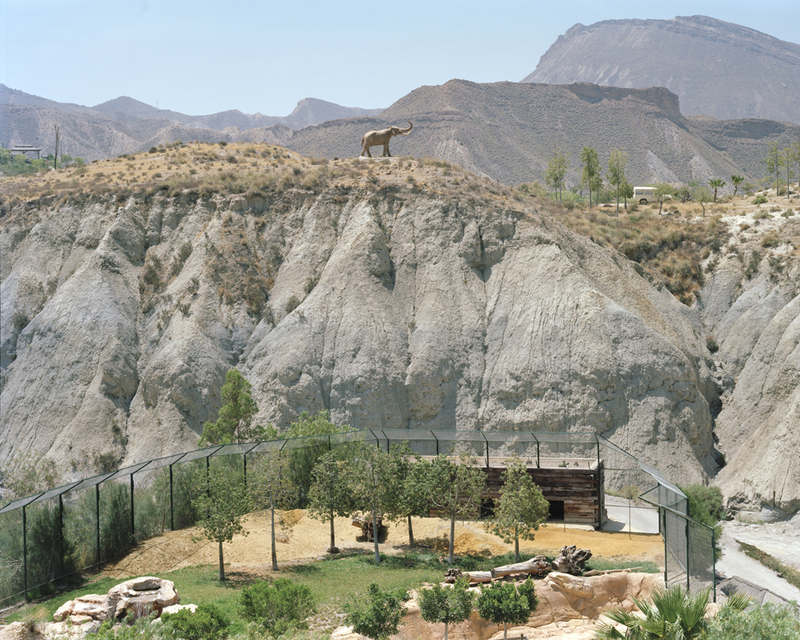 Badlands examines the contested frontier territory of Almeria, southeast Spain. 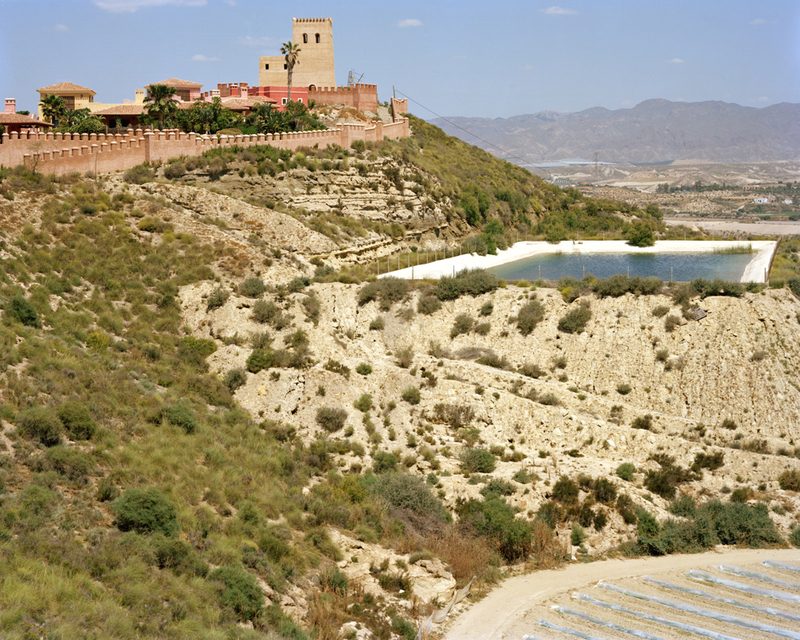 This desert landscape on the edge of Europe is being rapidly transformed by intensive agricultural development, golf courses and apartment complexes. 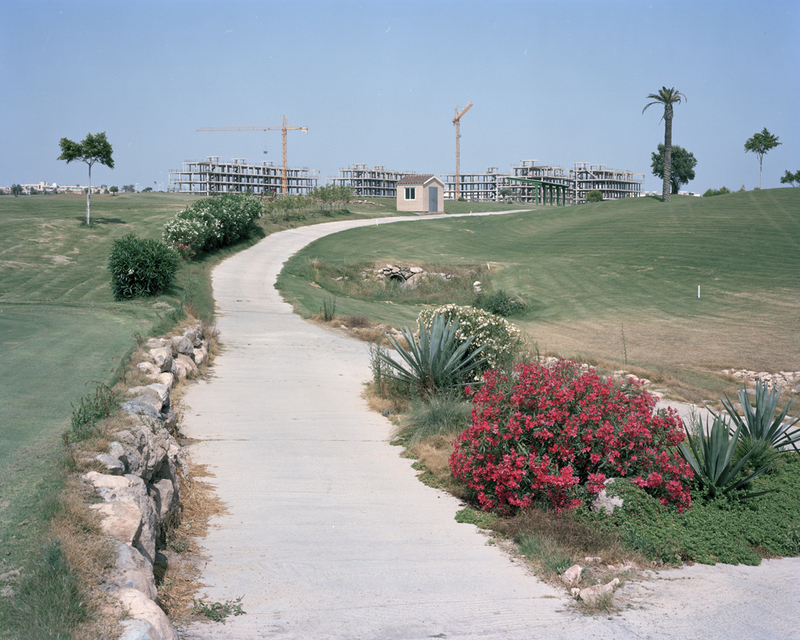 Architecture has been the focus of a tradition of photographers from Frances Frith’s nineteenth-century Holy Land, to Walker Evans’ use of American vernacular architecture as a potent cultural signifier, to the New Topographics’ series of human-made landscapes. 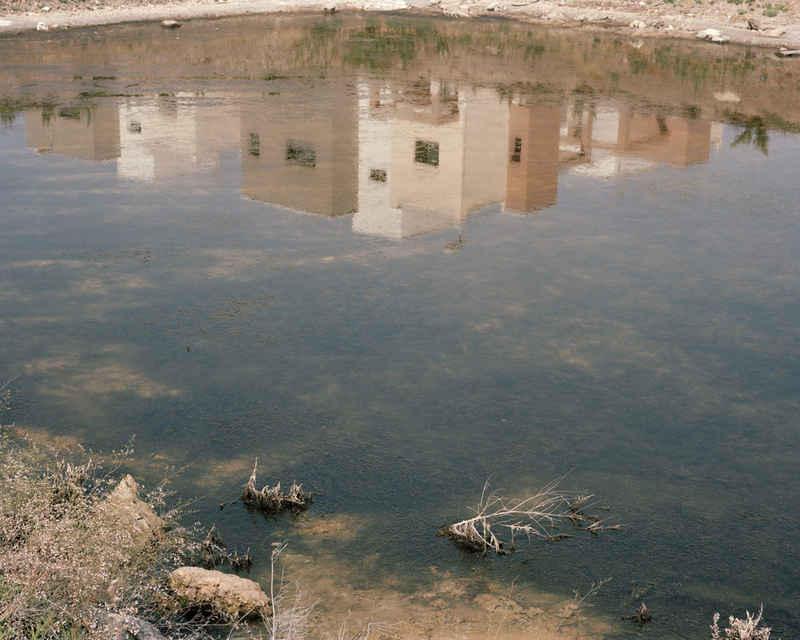 Drawing upon these practices – all of which only connoted human presence – in my images I focus on plastic as a marker of human intervention, to explore how capitalist ideologies and desires are projected onto this desert landscape. Two groups of pioneers coexist here. Irregular migrants from northern and sub-Saharan Africa build bricolage shanties from salvaged plastic; hidden deep within a sea of poly-tunnels they avoid detection from the authorities. In this respect, plastic at once conceals and reveals. Conversely, northern European migrant golfers spend their savings constructing hybrid homes in gated communities. They too use plastic, to materialise their dreams. My images portray plastic as both product and waste: waste of material and waste of human life. The interwoven migrant populations are both in stasis as the current economic crisis holds them fast. No work for the irregular labourers, the Euro is weak, and with the property market frozen, the golfers cannot sell and return home. This borderland, where Europe and Africa overlap, is a microcosm of a rapidly unravelling neoliberal fantasy.